So beautiful Heather, the thoughts the images, I love that you and Remi are so close. Costco! Really? I have to say that you surprised me with that one, Bill. But maybe they have a good wine selection there? Lovely. You make it all so appealing. I miss my herb garden during our harsh northeast winters. I hope you realize that your writing is my equivalent of 50 shades of grey. Are you kidding?!!! 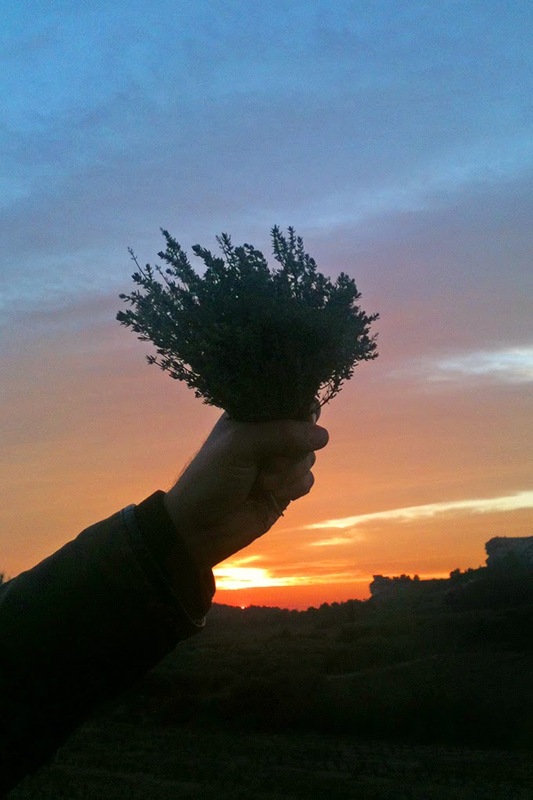 Jaunts to get olive oil and picking thyme in the golden hour of sunset?! What could be more romantic or perfect than this? These photographs are stunning. The pink highlights against the trees! Oh my. What a gorgeous world you share with us! I so wish we had connected when you lived only minutes from me! Thank you so much for your comment today. I am very insecure in my writing and worry constantly that it doesn't translate to anyone else. Oh I think that your writing is as clear as a bell. It is if you are talking to me/us! I only wish that you wrote more often but I do realize that you have a business to run. And of course your response made me smile hugely. It WAS a really lovely, happy moment. 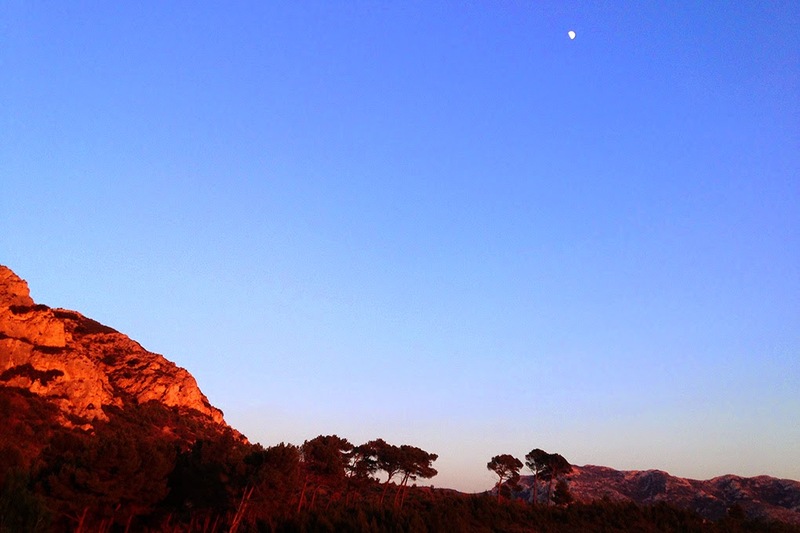 The sky...one of our favorite corners of the Alpilles...all to ourselves. I do pinch myself at times and don't ever take those good times for granted! The photos are sublime.......the colors, the shots.......all truly gorgeous! I hope the lamb was a success...........and NOW I SEE THAT'S REMI's ARM!!!! The lamb was sensational. It is one of my very favorite dishes that he makes...and that is saying something!! 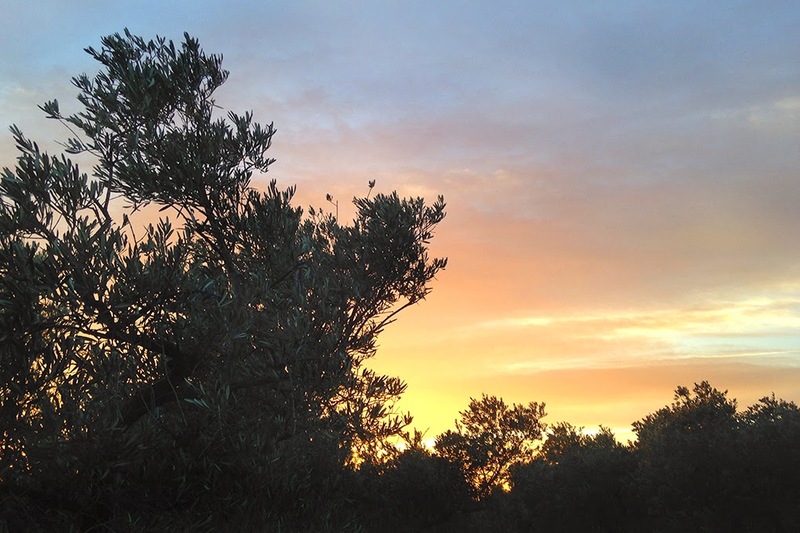 The olive crop is alive and well to your south in Greece and having had the opportunity to watch (and taste!) some of the olives become oil, I can assure you there will be olive oil in the coming year. (Luckily their crops were spared the attack by the fly that struck in Italy and Spain). This is a lovely outing you took and what a beautiful way to close out one year and ease into the next. I am so sorry to hear that your entire crop was lost, Judy. "No one but you and Rémi live such beautiful moments, and no one shares them better! This post is another example of why I never can delete your posts. Thank you, Leslie in Oregon"
Always love reading your posts and seeing your wonderful photos, capturing all the things of why I love living in France. The importance of how a meal is prepared & cooked. Collecting your Thyme took me back to when I picked my first thyme, which was growing high up in the mountainous Provence area along side of the road, the perfume was overwhelming. I'll be searching frantically now on websites to find good Olive oil. or better still making a trip down south .Hmm ! that sounds like a good idea. Thank you Heather, you have brightened my morning as the sky is grey. Enjoy your weekend. See how you taunt us with your romance? While the rest of us go to Costco (or Meijer - eek!!) 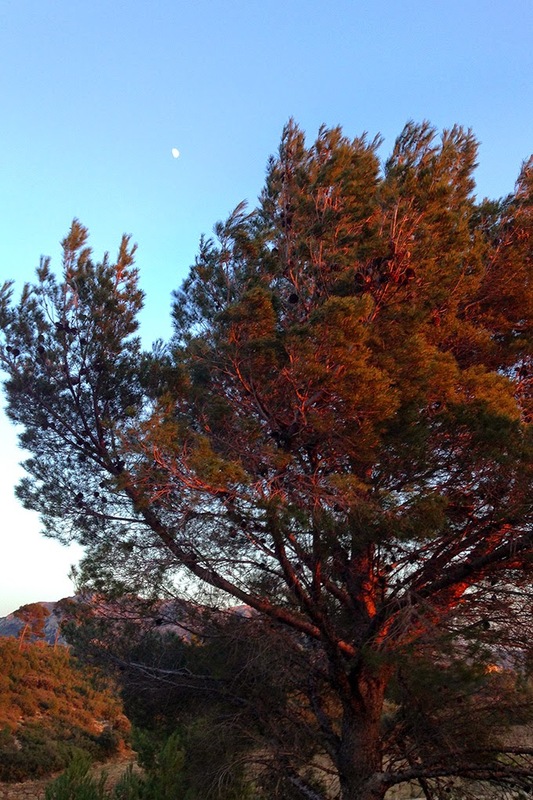 for our herbs and veggies, you and your lover romp over the Provencal countryside during sunset. Le sigh! I like not only the beautiful, beautiful orange-y photos, but also the idea of long term couples reading each other's minds! Also love the victorious bunch-of-thyme shot - suc-CESS!!! Thanks for sharing with us; we are so grateful! Heehee, thanks for the compliments and the Steve Martin reference, Sister!! And I find it funny that a few people have used the word "romantic" and that wasn't in my mind at all...just that it was beautiful. So, that is something for me to think about! 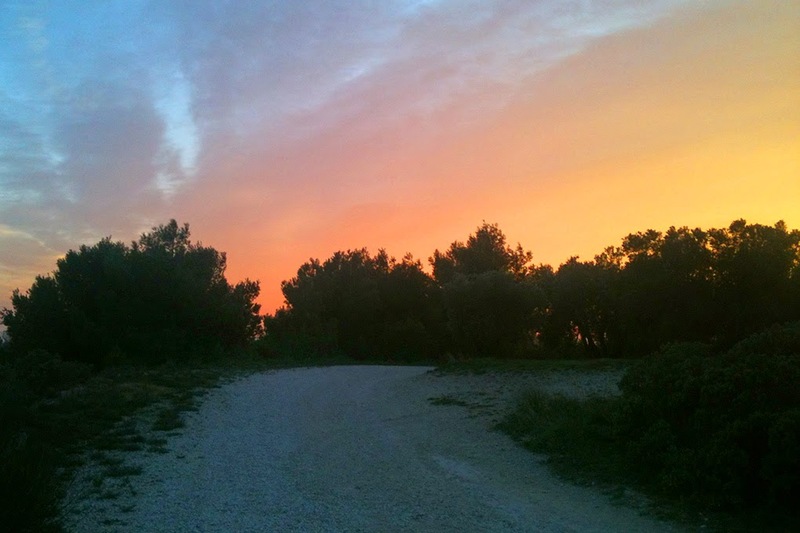 a search for ingredients in the nature is the most exhilarating preparation for a great meal aside from eating it and when it happens in such beautiful surrounding ,with the most beautiful sunset, what else can make you more happy. Mind reading ...so intimate and it works more often with my husband the longer we are together too. It is a funny thing when that happens, isn't it? We always laugh because it is still so surprising even after all of these years. ...and eerie as well...don't you think so? When that happened I always wonder what's behind all this? The same problem here in Italy. We were very sad! Let's hope in a better future! Love your stories and pictures Heather. I hope you enjoyed your meal! Emilia, we ate like...Romans! And actually the idea for the lamb was inspired by a Roman recipe...the lamb is braised in honey and lavender...plus the thyme and olive oil as well. Delicious! 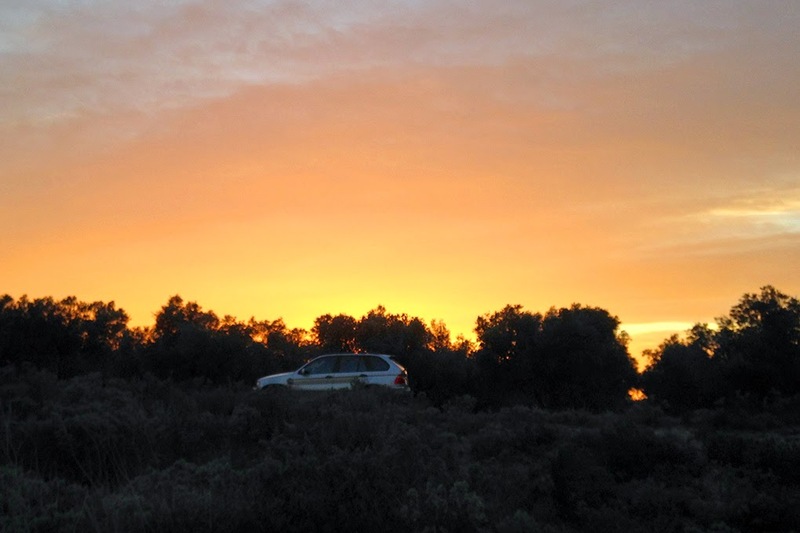 Wonderful sunset, wonderful story, and images! 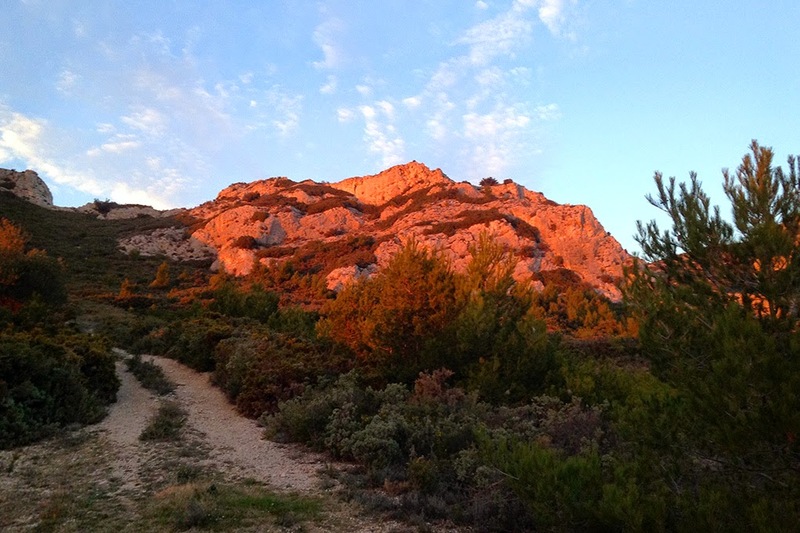 So important you haven't let your feelings for the Alpilles gotten spoiled. You kept them in a fine way! 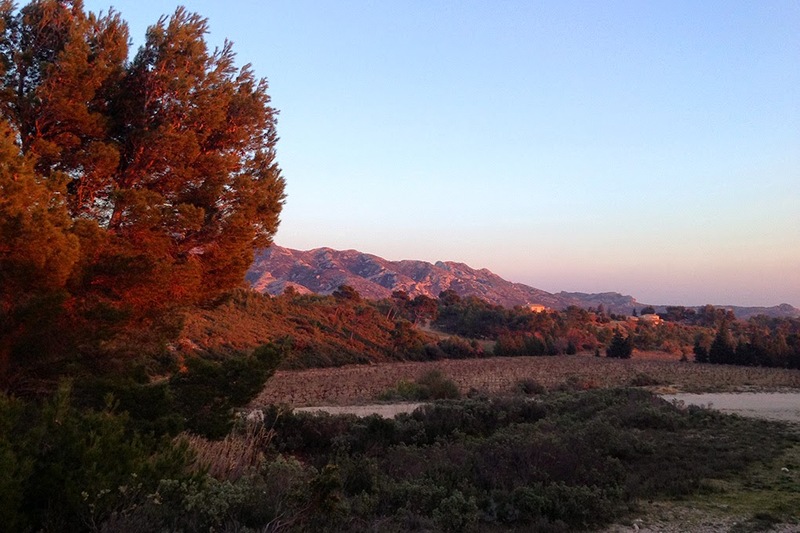 I hold myself sweet memories from that one day in les Alpilles. There is a certain magic in the air there. And the rocks are definitely an impressive setting. What happened to the olive crops? Was is the weather? And you would be most welcome. ;) Save that Ben would follow you around hopelessly if he were with us. Oh, Heather, how beautiful !!!!! And I feel the same about your many stylish adventures and inspiring painting, Jeanne! Cheers to beauty! Love and thoughts you share together are almost sacred treasures. You go out and take a walk in splendid colors of the day and picking gifts from nature’s bounty “…a moment so beautiful that it shimmies up next to the sublime..” What else can one ask for. Thank you, Lisa. 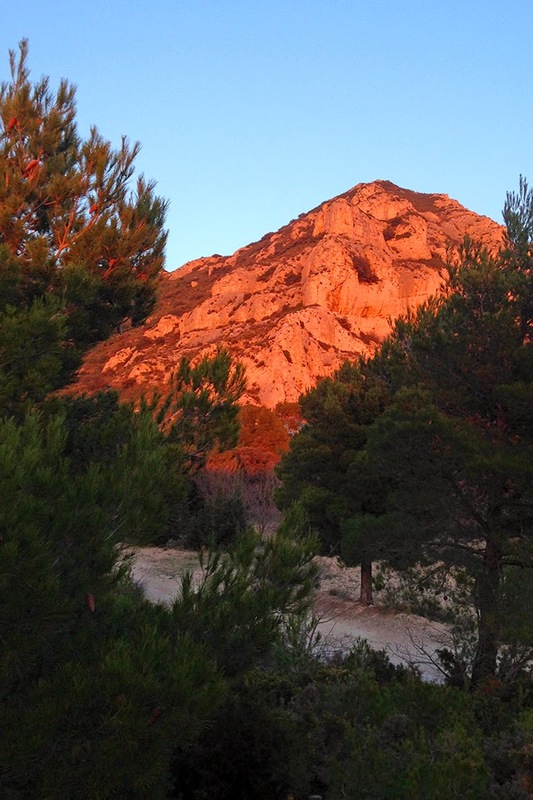 It is both wild and yet lovely land in the Alpilles. I think that you would appreciate it! Beautiful, on so many levels. Eu sou realmente desfrutando o tema/design do seu web site . Você já executa em qualquer navegador internet compatibilidade problemas ? ideias para ajudar a corrigir isso problema? Obrigado! Onde são seus dados de contacto no entanto? como pode eu subscrever para um blog web site ? isto, como você escreveu o livro nele ou algo assim. este é magnífica blog. Um excelente ler. Eu vou definitivamente volta. Sim! Finalmente algo sobre regime para perder barriga. Se alguém precisa especialista em vista sobre o tema da blogging e construção de sites depois eu aconselhar -lhe a uma visita isto weblog , manter-se o bom emprego .